Become a certified Facilitator in the methods of Lego Serious Play. In this 3-day training you will learn how to design and deliver workshops that are impactful for organizations, teams and groups. 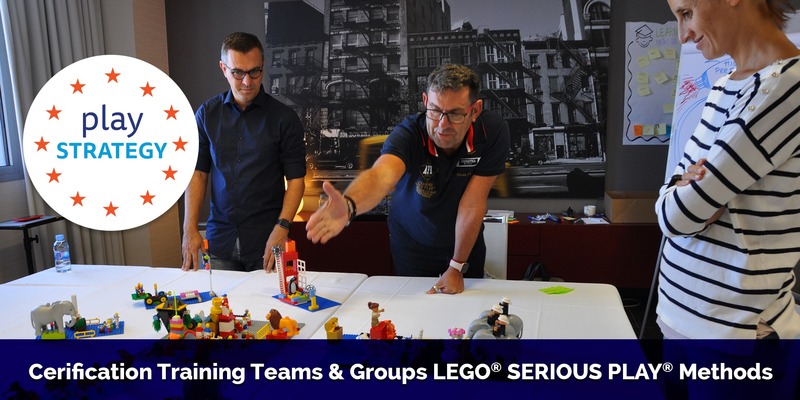 LEGO® SERIOUS PLAY® is an internationally-renowned facilitated process used by organizations to engage participants to generate innovative ideas for organizational improvement. The methodology is based on extensive research and enables teams to address complex issues in a fun and engaging way. Learn the basics on the first program. This training day introduces you to the LEGO® SERIOUS PLAY® tool. You will learn how to use the tools with a setting including flow theory, the use of ground rules to set the playing field, etiquette, and traps to avoid along with numerous applications for different situations to prep the hand-brain connection. Background theory is provided with hands-on learning. The second day moves participants thorough processes where individual identity is explored and insight gained into how the tools can be customized for any number of workshops or processes including team workshops. The third day of the training will provide you with an understanding of how to use LEGO® SERIOUS PLAY® identity and landscape materials kit to build 3D models that illustrate the complex environments where entities like teams and projects and other interconnected systems function and how these environments “play out” in real time.